"Is your eating out of control? Do you think about food all the time? Are you always counting calories and weighing yourself... or taking more drastic measures? Let me help you make peace with food and feel good about yourself. 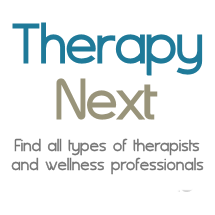 I provide individual and group therapy in a warm, caring and supportive environment. I look forward to helping you take that first step towards recovery. If you or someone you love has an unhealthy, unhappy relationship with food, I can help." Dr. Nina Savelle-Rocklin is a psychoanalyst, author, radio host and internationally-recognized expert in the psychology of eating. Her book, Food For Thought: Perspectives On Eating Disorders is an Amazon bestseller and she has been featured in Psychology Today, The Los Angeles Times, Prevention, Real Simple, Redbook, Huffington Post and many other publications. She is a frequent guest expert at summits, podcasts, radio and events. Dr. Nina helps men and women make peace with food by focusing on what’s eating “at” them instead of what they are eating. In addition to her clinical practice specializing in eating disorders, she writes an award-winning blog, Make Peace With Food, and has a podcast and video series. She hosts a call-in radio program, The Dr. Nina Show, which airs Wednesdays at 10am PST on LA Talk Radio. Hope is a phone call away! Nina Savelle-Rocklin, Psy.D. is a psychoanalyst who specializes in emotional eating. She brings hope and help to men and women struggling with this issue. Dr. Nina is passionate about sharing a fresh perspective to the understanding and treatment of disordered eating. She has written several articles on eating problems from a psychoanalytic perspective, educating people about "why" they turn to food instead of focusing on the behavior itself. Dr. Nina Savelle-Rocklin is a psychoanalyst, author, speaker and internationally-recognized expert in weight, food and body image issues. She has been featured in the Los Angeles Times, Prevention, Real Simple, Huffington Post and many other publications, and is a frequent guest expert at summits, podcasts, radio and events, including the prestigious American Psychoanalytic Association’s National Meeting. Dr. Nina helps people lose weight without dieting by focusing on what’s eating “at” them instead of what they are eating. In addition to her clinical practice, she writes an award-winning blog, Make Peace With Food, hosts a podcast, Win The Diet War with Dr. Nina, and video series, The Dr. Nina Show. Her book, Food For Thought, on the treatment of eating disorders, is an Amazon bestseller. Dr. Nina's personal experience with an eating disorder gives her a unique understanding of what it's like to struggle with this issue, and she knows that recovery is possible. She provides empathy and understanding, as well as professional and clinical expertise, in the treatment of eating disorders. If you or someone you love has an unhealthy, unhappy relationship with food, Dr. Nina can help. AED (Academy for Eating disorders).